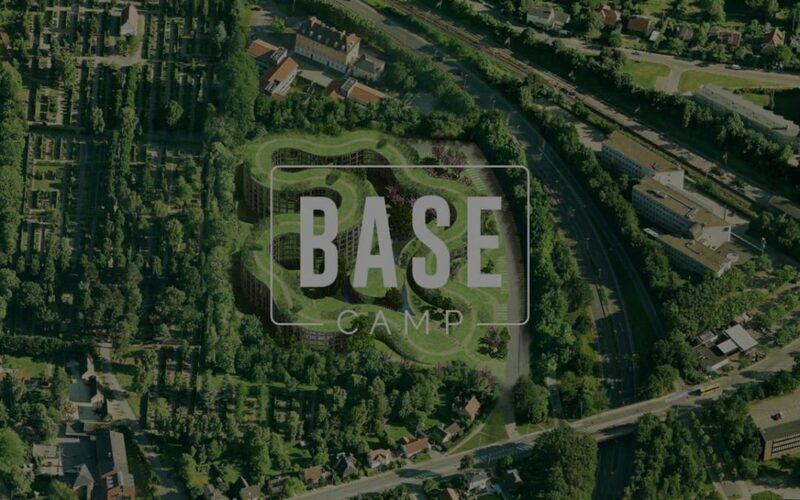 On Friday, June 22, Mayor Sofia Osmani took the first sod for BaseCamp’s 639 new student housing at Skovbrynet, Lyngby. The study housing is scheduled to be ready September 2020 for the academic year. The focal point of the unique construction is a community house of approx. 2,700 m2, where the students will enjoy cinema, fitness, hobby room, banquet hall, e-gaming, various lounge areas, study room, library, laundry – as well as the opportunity to grow the garden with herbs on the roof of the building. The roof of the building is expected to be an attraction in itself due to a 700 m running and walking route – with a special viewpoint. The round joint building will be the students’ meeting place. Here, common meals, parties and events are held, exercised – and of course studied. The building is designed with a unifying atrium that spans all floors and throughout the entire length of the building; a multi-storey main street. From here there is a view of all the facilities, and the students can for example. arrange their laundry while snatching a walk on the treadmill. The construction project comprises, in addition to the 639 new student residences, also 147 residences and corporate residences.